Crawl space pest extermination is a common need throughout the Portland Oregon and Vancouver WA area. Bugs and animals constantly seek out dark and warm places to live. 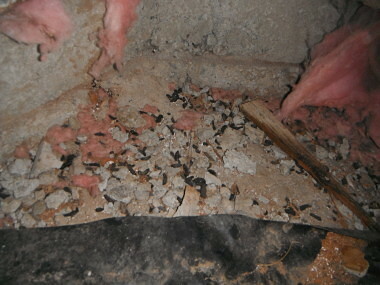 Unfortunately, animals that nest in the crawl space of your home can easily damage and create large messes. Food, nesting, and feces are only a few of the things that pests will leave a mess with. This is where Bloom Crawl Space Services has you covered. Our licensed, bonded, and insured technicians have over ten years of experience that gives us a deep understanding of animal habits. If the health of your crawl space is not enough, pet owners will want to take extra precautions. In the event that your pets tumbles across a pest or family of pests living in or around your home, the result can be disastrous and harmful. Your pet could contract a number diseases. Let us help to prevent that from happening. Pests, like rodents or insects, leave a trail. 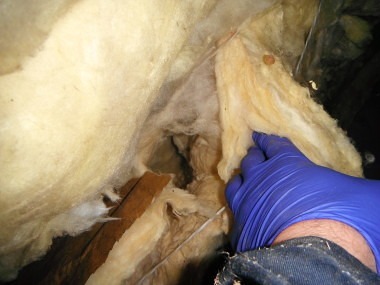 Rodents can, and will, chew through wires, nest in insulation, tear down HVAC, leave urine and feces everywhere they go. Termites cause structural damage to your home. Odorous House Ants, sugar ants, if left unchecked can create colonies in the 10s of thousands in your crawl space. The crawl space is the perfect place for pests we don’t want near our home. Bloom not only offers full crawl space remediation, but we are a full pest control company as well. We offer free pest estimates and crawl space estimates. Don’t let these pests make your home into their playground. When Bloom Crawl Space Services first visits your home, we conduct a preliminary estimate to diagnose the magnitude of your pest problem. From there, we work with you to formulate a plan that works for your budget. We waste no time on the job – we are in and out of your home as quick as we can, while making sure to do a top quality job. Upon finishing the pest extermination, we can help you with ideas to prevent further infestations and pest problems.